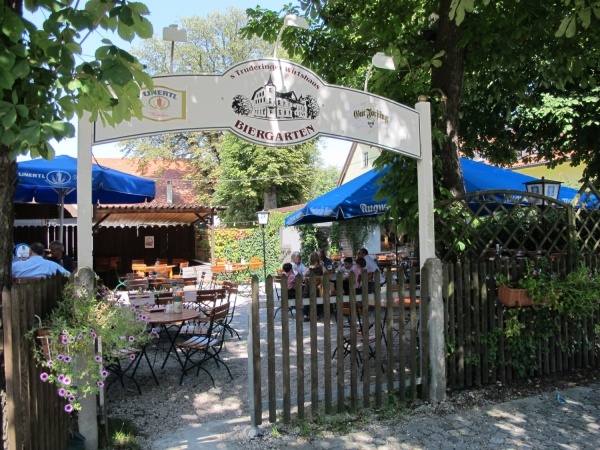 The Truderinger Wirtshaus and beer garden is located in the borough of Trudering-Riem, less than ten kilometres east of Munich's city centre. This charming beer garden which is almost totally shaded by large chestnut trees is not too large or too small. Although there is no self-service food stall, guests are welcome to unwrap their own food on any one of the 11 traditional beer garden benches which in all provide place for about 120 guests. Drinks and meals can be ordered with the waitress. The menu offers a wide selection of Bavarian meals. A specialty are the three types of Obatzda: Traditional, with rucola or with chilli. Beer lovers can choose between five different beers: Augustiner, Unertl, Bitburger Pils, Duckstein and Forsting Dunkel. A Maß Augustiner Hell (lager) costs €6.20 (August 2012). 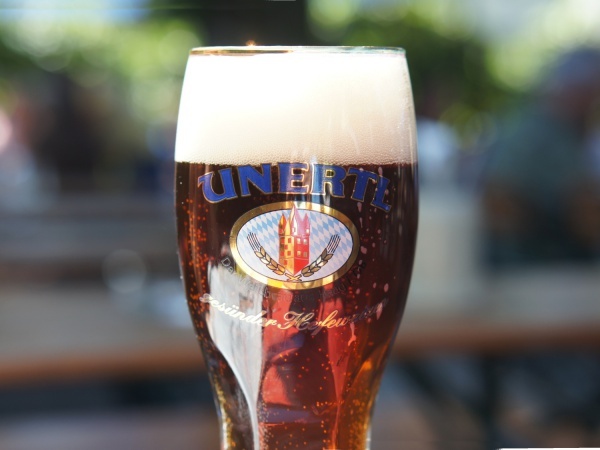 The dark Weißbier (wheat beer) from Unertl comes straight from the barrel, a rarity in Munich! Just around the corner from the beer garden is the Riemer Park, a well-visited recreational area, which includes the highly popular Riemer Lake. A bike ride from the lake to the beer garden takes less than ten minutes. Depending on the weather, the beer garden is open throughout the week from 10.30am until 1am the next morning, on weekends and public holidays already from 10am.